After a masterclass with the ice extravaganza’s skating stars, ORIELLA ONNI has a newfound appreciation for double axel jumps and effortless lifts. Hint: Many falls and tumbles are involved. For a 90-year old rodent, Mickey is limber. It’s one of the requisites to get on the ice. As the headliner of Disney On Ice: Mickey’s Super Celebration (from 20 to 24 March), he knows. The ice extravaganza boasts many talented skaters of equal measures of grace and dexterity, who make popular Disney stories and their characters come to live. It’s mesmerising to watch them glide effortlessly across the ice, and executing jumps and lift with ease. But as Mummyfique learns after a Disney On Ice skating masterclass with some of the show’s stars, it is damn hard work. Our session starts with warmup exercises like jumping jacks, to get the heart pumping. That’s the easy part. Then it’s skates on. The blades are so sharp, you worry about spilling blood on the ice. There’s the matter of balance too. New-born giraffe comes to mind – wobbly ankles and an awkward struggle to stay upright. After an eternity trying to muster some semblance of steadiness, the skating begins. Excitement, but not too much or you’ll tip over. Ice is hard. Very hard. We somehow get through the basics. Miracle really. Amidst the tumbles and falls, we do cover the rink from one end to another, and by fluke, a couple of twirls and a simple dance routine. Jumps and lifts? Forget about them. Ditto our dreams of being a world-class skater. Our 90-minute session feels like five hours. Our toes and calves are cramping up from trying to stay upright. We are exhausted and spent. The famous mice, Mickey and Minnie, pop in for some candid snaps. Despite the happy shots, it isn’t enough solace for our lost dignity. When world-class athletes ice-skate, it looks serene, rhythmic, and even hypnotic. For the rest of us who prefer our feet planted on the ground, rather than up-in-the-air and spreadeagled, it feels rocky and terrifying. 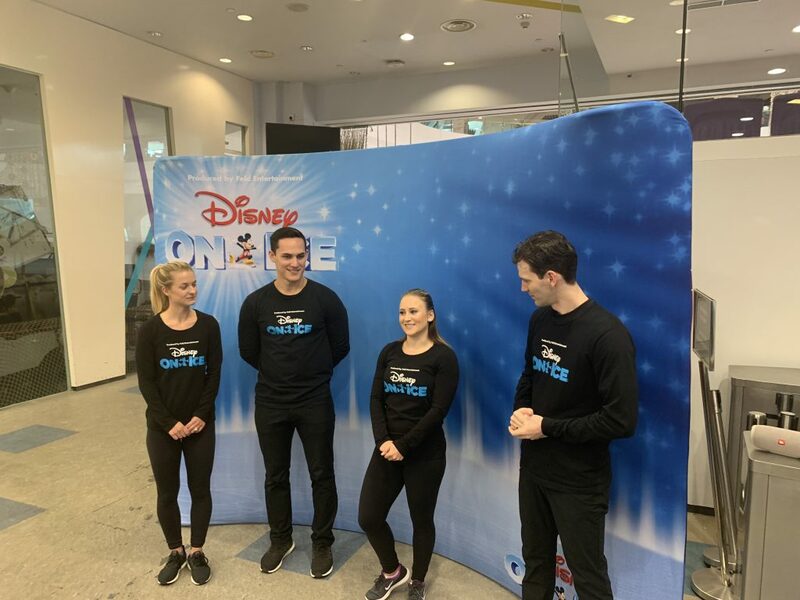 The masterclass sheds light on what it takes to be a Disney On Ice skater, heck it illuminates the huge amount of work and skill needed, to put up an amazing performance, nightly. There’s the physical aspect of it: Agility, strength and stamina. Skating works out every muscle in the body; there’s cardio and strength-training, and it requires coordination and balance. The mental endurance is important too, for it’s not just many rehearsals, but also touring, nine months in a year. It helps that some of the crew, like William and Adriene Ott, who play Aladdin and Jasmine respectively, are married to each other. “We are together all the time; what makes our relationship work is that we try to make it interesting, whether we are in the arena, practising our routine, or hanging out with friends,” says Adriene. 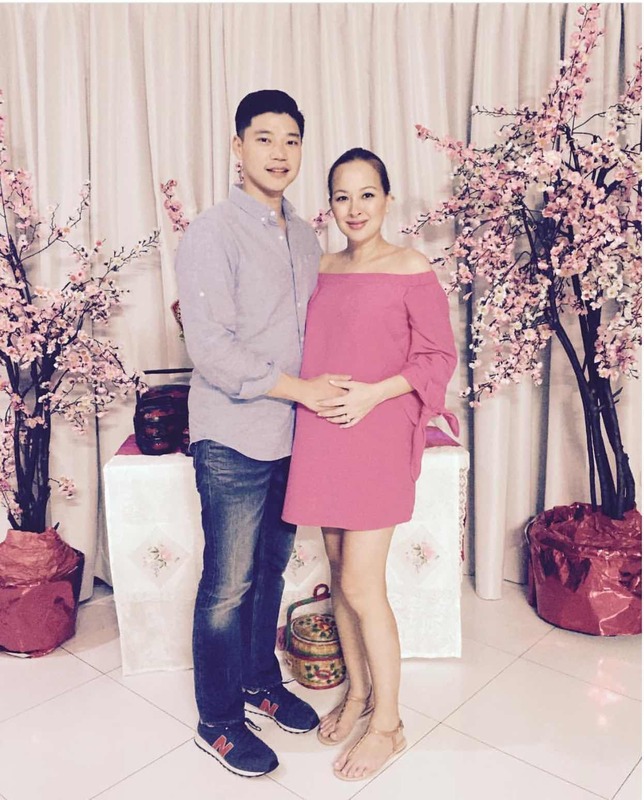 The couple share that the team is like a second family, which makes it easier to cope, on tour. 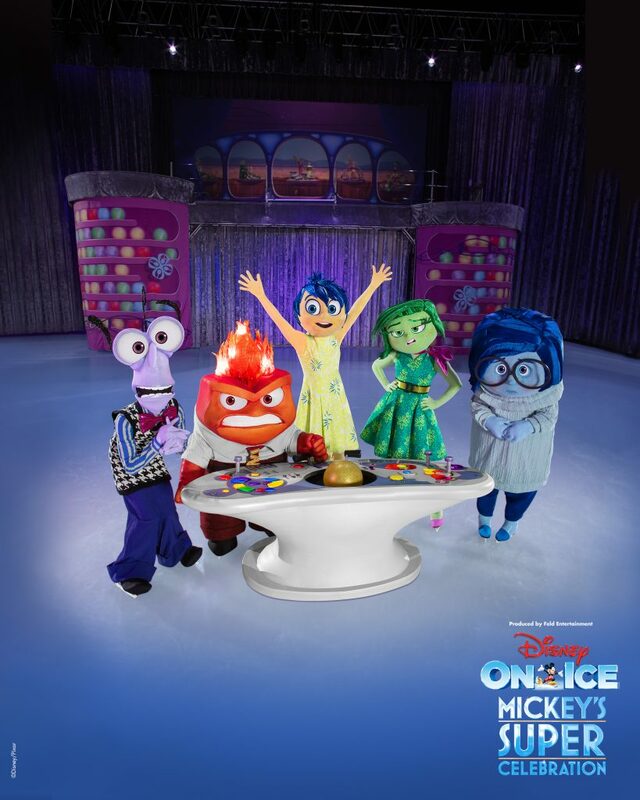 The Emotions – Fear, Anger, Joy, Disgust and Sadness – from Disney•Pixar’s Inside Out make their Disney On Ice Debut in Asia. 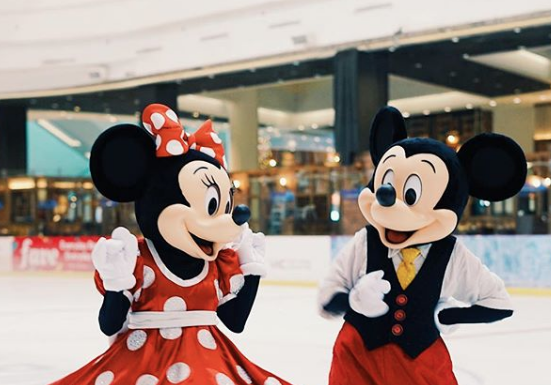 With equal doses of nostalgia and excitement to dazzle the entire family, the upcoming ice extravaganza ties in with Mickey’s ongoing 90th birthday celebrations. 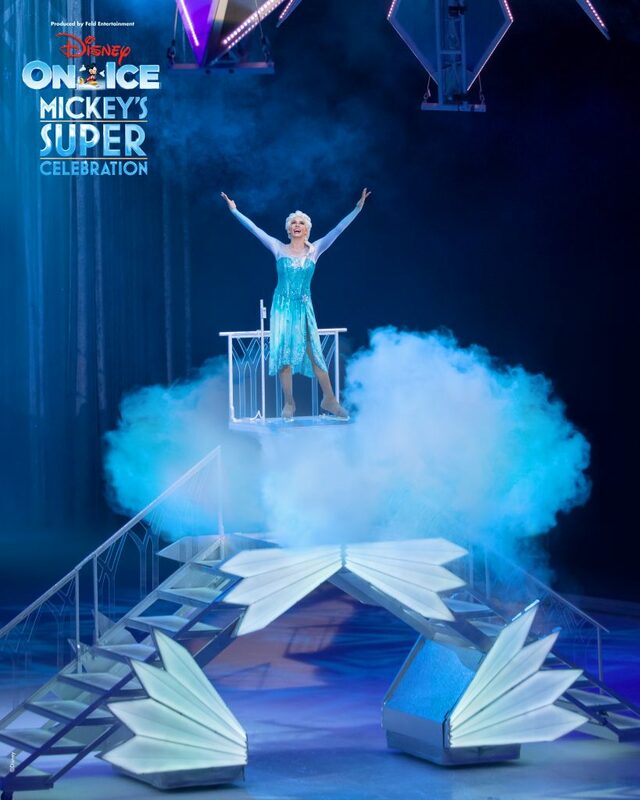 “In this new Disney On Ice production, we pay tribute to Walt Disney and the true original icon, Mickey Mouse,” says Nicole Feld, producer and executive vice president of Feld Entertainment, that creates live touring entertainment experiences like Disney On Ice and Disney Live!. She pitches the tribute show as a specially curated medley of many classic and contemporary Disney movies and characters, to appeal to a multi-generational, family audience. 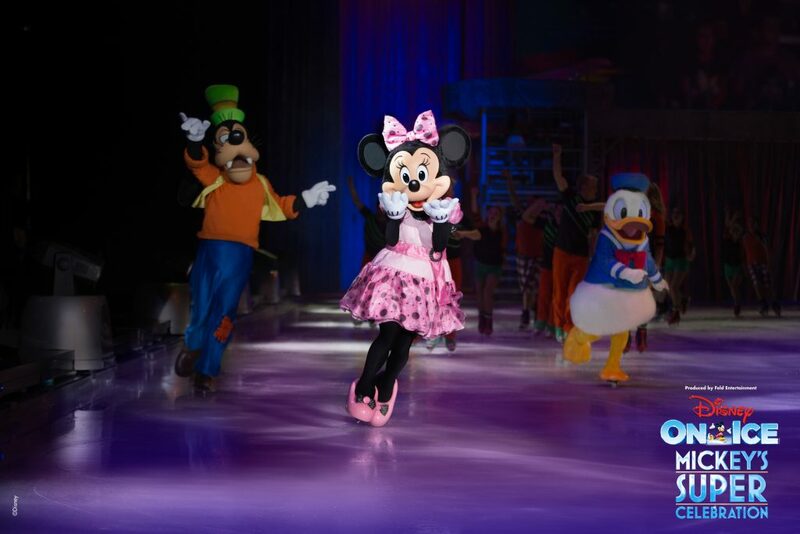 Goofy, Minnie Mouse and Donald Duck appearing on ice to celebrate Mickey's 90th Anniversary. Hence Mickey and his squad will open the show with a modern interpretation of the first Disney film, Steamboat Willie, the iconic short that changed the animation industry, it was the first cartoon with synchronized sound. Classic Disney characters like Donald Duck and Goofy, share billing with newer ones like the Toy Story gang; nine Disney princesses make their appearances, from Snow White to the Frozen royals, Elsa and Anna. 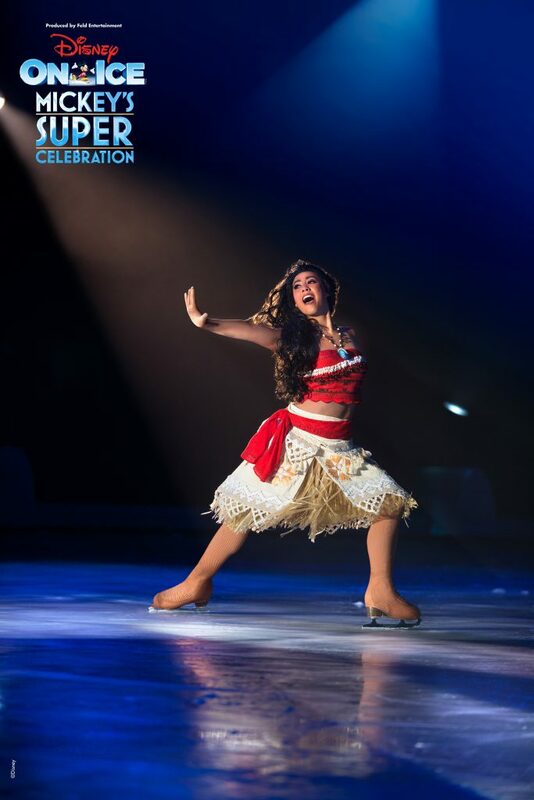 Moana taking the families on a high-seas adventure is another Disney On Ice Asian debut. Mickey Mouse as the titular apprentice, makes broomsticks come alive in Fantasia. There’s Dory and Moana, who both exemplify courage under fire. 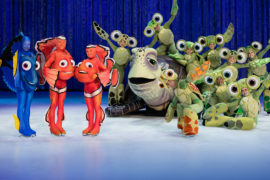 Making a Disney On Ice debut in Asia, is the Inside Out gang of Emotions: Joy, Sadness, Anger, Fear and Disgust. Hosts get mingling with the crowd to make the show more interactive. 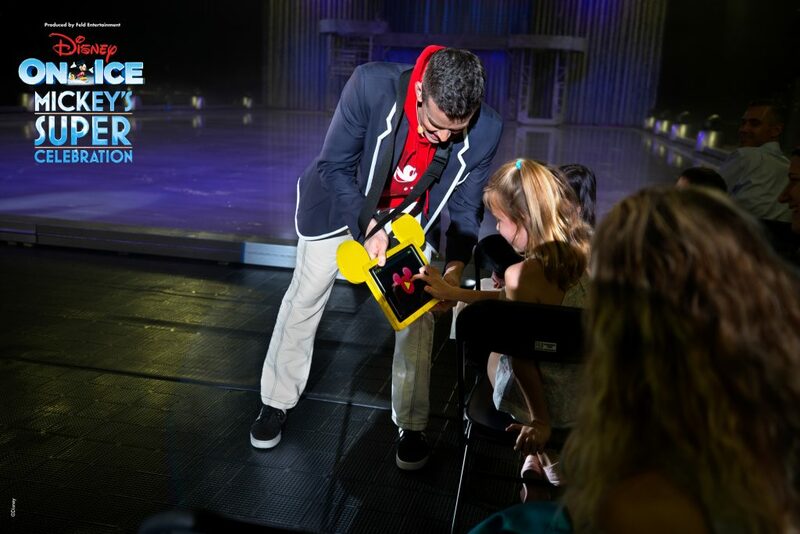 The interactive spectacular sees live hosts mingling with the audience, and dancers getting the crowd participating in a routine. Fans also get to vote and pick outfits for Mickey and Minnie to wear during the show finale. Even for skating veteran, Grant Marron, who has been touring for the last 10 years, it is a very unique show. He plays Shang from Mulan, and says there are stunts you won’t see in competitions, that only show skaters can do. Like the lifts that Will and Adriene perform. “These you have to come to one of our ice shows to see,” he says with a smile. 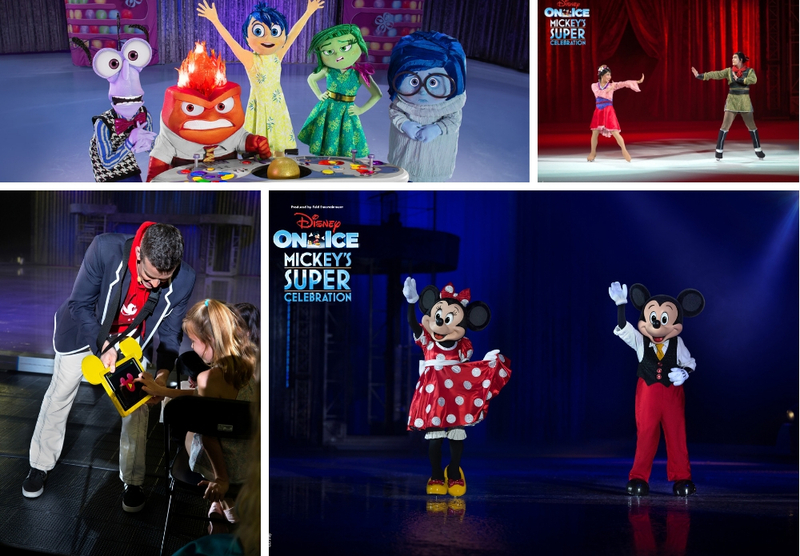 Catch Disney On Ice from 20 to 24 March; tickets range from $25 to $135. Click here to purchase them now.